Everyone we’ve finally made it, we’re almost in June and in Michigan it sure did feel like a long winter indeed. People are finally able to go outside in T-Shirt and shorts and enjoy the sunshine once again.Although it was pretty cold few weeks back and last week I was in Florida and it was still freezing there because of the Lake effect, back in Michigan it is starting to feel like summer again. This means my grills are coming out of hibernation and into full time use. Getting prepared for the College Football season. Here at our home, we grill several times a week at the very least. We are very out door type of people that love to grill and eat outdoors on the deck. That is how we spend quality time with our family and enjoy the delicious food, good company, and drinks. We are very much into the whole idea of good food and good company is all you really need to have a fantastic time with very little money. We are not all that much about going to the fanciest restaurants or going to luxury cruises although we do go every now and then, we are more into spending good money on good food and having a blast grilling and doing bonfires backyard and inviting all the friends over. Its those things in life that gets us excited. 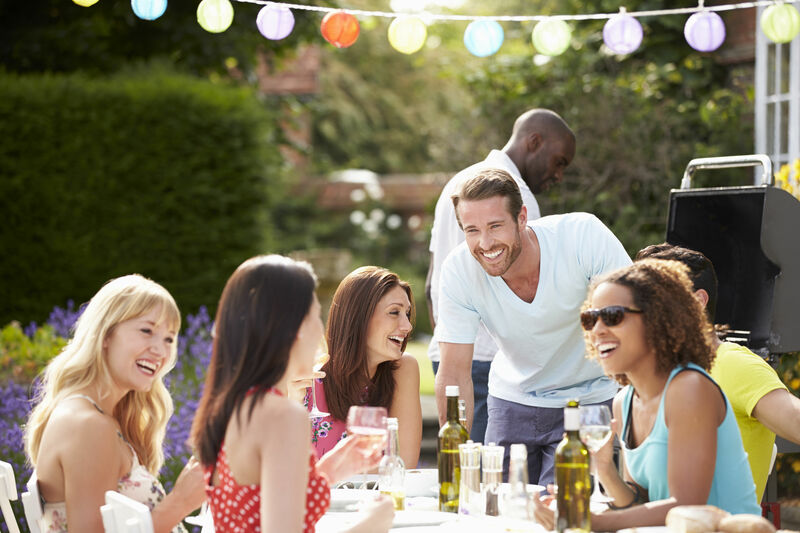 For example, when we have a pretty big BBQ event planned for the weekend, we are excited the whole week leading up to it, its in our nature to be hospitable and be the host for great parties and events where everyone just has a great time together. In the month of June we already have 2 out door cookouts planned where we will host the whole neighborhood and our families together for a big grill out. We’ll have whole pigs and ducks getting roasted whole with our famous BBQ sauce that will bring all the nearby folks to our yard as the smoky, mouth watering odor fills the air. My wife will also be making homemade ice cream from farm bought raw cow milk. This milk is not only healthy as she does not use any sugar, only raw honey so everything in this ice cream tastes delicious and 100% good for the body, its actually packed with nutrients. And we will have our friends playing live jazz through out the night. As we do have 5 acre yard, there is plenty of room for everybody to gather and have a blast.